Education is important…in any industry. The challenge of course is finding quality, real world, information you can use – from people you trust. 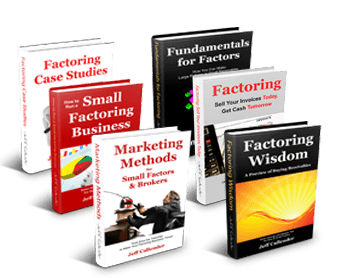 We pride ourselves on the level of quality content both on our site and in the materials made available here at The Factoring Bookstore. Each of the products are available for immediate download. That means within minutes you can be reading solid content you can use right away. A hard copy is not mailed but you are welcome to print a copy. All our materials also come with a 30-day guarantee. If you are like nearly everyone else shopping here, we doubt you will ever need it. But it is nice to see someone stand 100% behind their products – we always will. 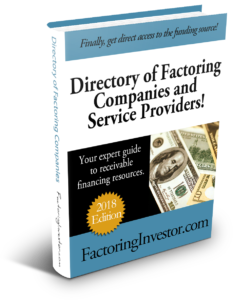 Searching for the right factoring company to finance your deals? Sometimes it’s not only what you know, but who you know. 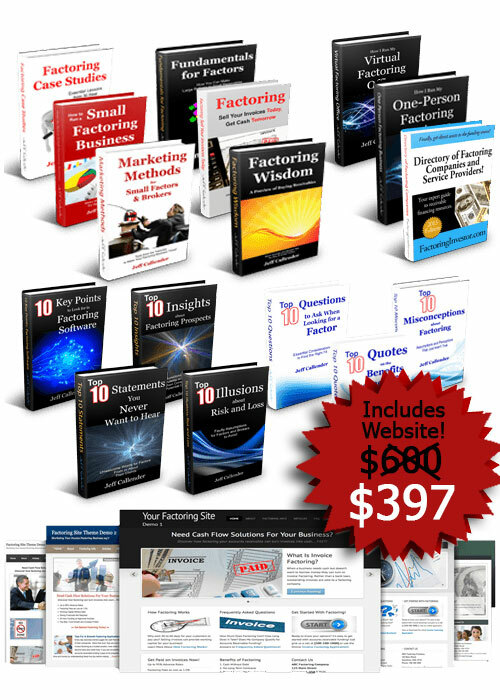 The Factoring Essentials Bundle is where most people start. You get an amazing overview of the factoring industry with real world content you can use today! 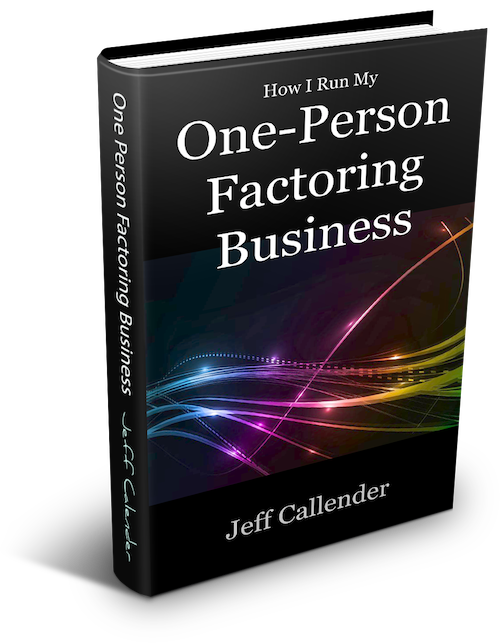 Have you wondered what it takes to run a small factoring operation by yourself or with just a family member? Factoring receivables can be a lucrative business with high returns, but you need to know how to manage the business with minimal overhead. 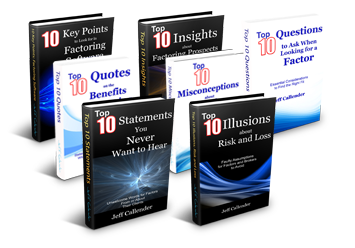 The Top 10 ebooks provide keen insight to particular aspects of factoring that every newcomer must learn, and every veteran will appreciate. The Complete Factoring Toolkit WITH Website! 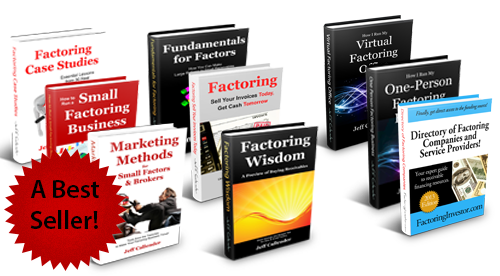 Not only do you receive the entire Factoring Essentials Bundle, you also get the Factoring Top series AND your very own turn-key Factoring Website – complete with the content and online forms to get your factoring business started! Finally you can have the professional online presence you want…without all the expense and hassles. With our turn-key websites you can be up and running in as little as 48 hours with features that include, pre-written content, a 24/7 client submission form, custom logo header, and a variety of themes to choose from – this is exactly what you have been looking for. The best part just may be…YOU own the site! Move it, change it, do whatever you want! We set it up, we give you content you can call your own. In other words, we build, you control it! The fact of the matter is that if you are IN the business than you NEED to be online. The good part is that it no longer costs thousands of dollars for a quality website that gives you a professional appearance. 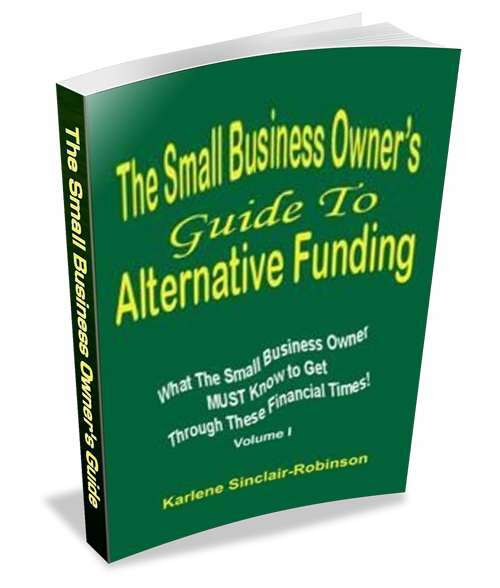 What The Small Business Owner Must Know to Get Through These Financial Times! Our current national financial situation makes it even harder for small businesses to qualify for bank financing. Balancing the scale in this arena is vital, but will it even out for you?